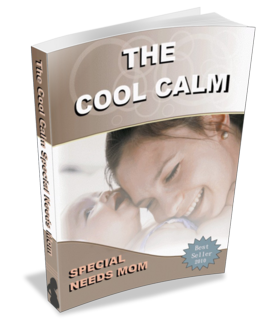 "The Cool Calm Special Needs Mom". You will need Adobe Reader installed on your computer in order to open, read and print these ebooks. The latest version is recommended; it was free at the time of this writing. If you do not already have it, you can Get Adobe Reader Here. A new window will open so you can download without leaving this page. To open, view and print now, just click on the ebook link below. Right click on the link and choose "Save Target As" or "Save File As" then select where you want to save the file on your hard drive. Locate where you saved it, double click to open the file and print as you would any other document. We always love to hear from our readers, so if you have any comments, either positive or even some constructive critism, we would love to hear from you! If you would like to have an article published on The Special Needs Child, wed be delighted! All Articles are credited to the Author and contain a link to your Website or Blog! Submit Your Article OR Contact me!